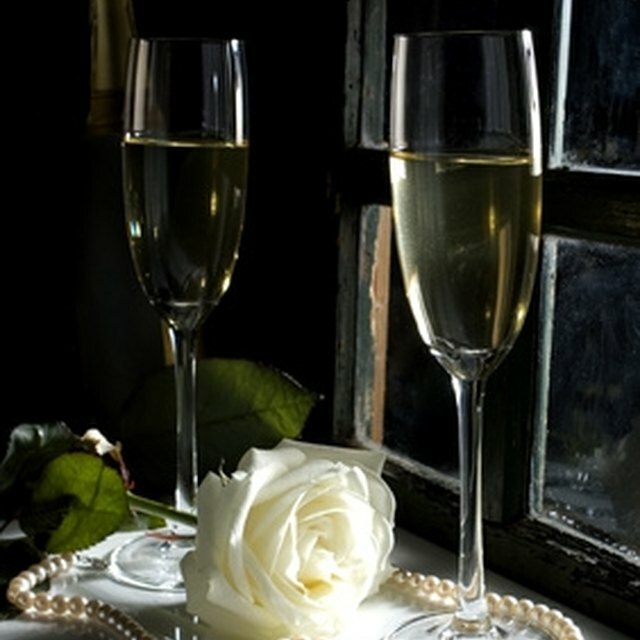 A 60th wedding anniversary, also known as a diamond anniversary, is certainly a cause for a celebration. If you or a loved one are going to be celebrating a 60th anniversary, a party is a great way to commemorate the day. By incorporating things the couple loves and official colors and symbols of a diamond anniversary into your decorations and invitations, you can plan the perfect anniversary party. 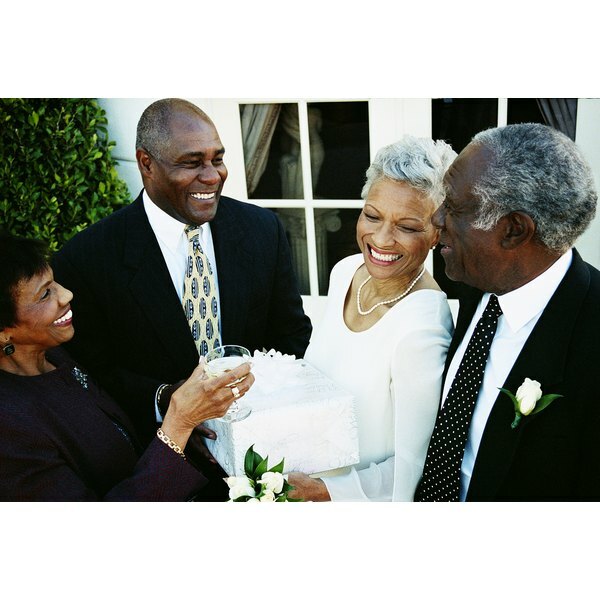 The location for a 60th wedding anniversary celebration depends on the event's formality and guest count. If you are having a causal get-together with family, your home is an appropriate locale. If you are having a large, formal event with friends, family and coworkers, a local restaurant with a private dining area or a rented event center are appropriate choices. The official symbol of a 60th wedding anniversary is the diamond, and the official color is white. Use white tablecloths, balloons, streamers and tableware as your main decorations. Use rhinestones to represent diamonds, and add glitter to vase water and across tabletops. Glitter and rhinestones can also be used on the invitations. For flowers, combine six different types of white flowers into your bouquets to symbolize the six decades the couples have spent together. A 60th wedding anniversary is a personal event, so choose entrees and sides that are favorites of the couple. This way, they can share some of their favorite foods with the guests. For an anniversary cake, take one of the couple's wedding photos to a bakery that can laser transfer it onto the cake top. To keep guests entertained throughout the event, play songs that were popular during the year the couple got married. This will share a bit of musical history with the younger guests at the party and will bring back memories for the couple being celebrated. Create games that involve the couple, such as your own version of Jeopardy. Create questions about the couple's marriage and award prizes to the guests who can answer the most questions correctly. Party favors are an essential part of the anniversary party because they thank the guests for attending. Small bottles of bubbles wrapped with a printed photo of the couple are one way to commemorate the occasion and are a nod to a common wedding tradition.